The waiting area and retail shelves. Since opening my bodywork practice two years ago, I have had the privilege of working with over a hundred unique women in their pursuit of a healthy, pain-free life. A large part of my practice has been choosing the right products for the right women. Will this client benefit from certain essential oils incorporated in her session? Does this client prefer lotion to oil, or vice versa? Additionally, I’ve been asked for dozens of product recommendations based on years of trial and error, from my favorite brand of dairy-free chocolate to homeopathic remedies. I recently decided to make these products more directly available to the clients who need them. Rather than waiting for a delivery, or driving a distance to find a product, clients can now make purchases at my retail space. 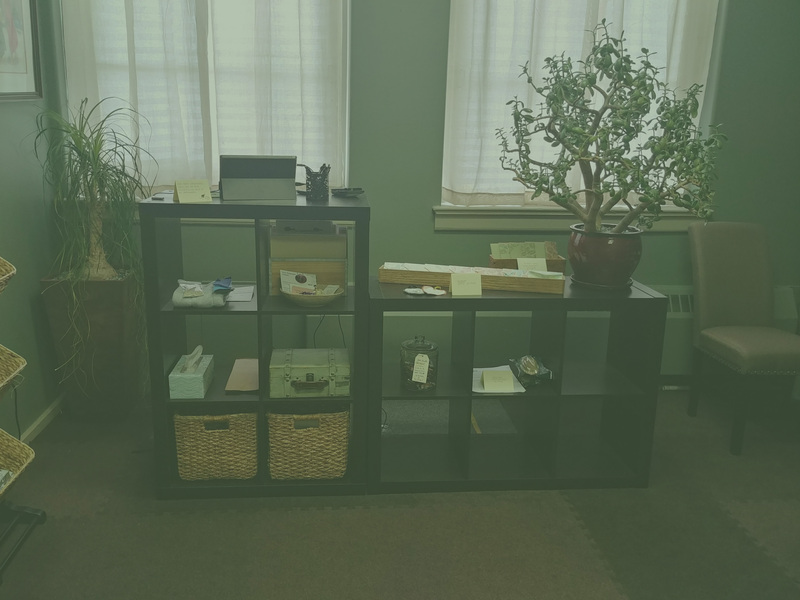 For those who have not yet visited my new location – which is just across the hall from my previous, smaller massage room – I want to invite you into my new office, now featuring two bodywork rooms, a larger waiting area, and a retail space! In choosing products, I wanted to stock only items that I’ve either used in my practice, used in my home or personal life, or that were made locally by other women in business. I’ve curated a space that I’m proud of and am thrilled to offer you many of my favorite products: herbal teas from Traditional Medicinals; multiple sprays, drops, and pastilles from Bach’s Flower Remedies; and some client favorite products like arnica creams, epsom salt rubs, and more. I’d like to highlight a few individuals that I am especially pleased to work with. I now carry a selection of salves by Allison at Rebel Massage Therapist, a fellow bodyworker and businesswoman. Her dedication to organic, naturally sourced products that truly work was what drew me to use her salves in my practice. Now, my clients can take her wonderful scents and targeted benefits home and use them whenever they’re needed. I am also pleased to partner with client, seamstress, and friend Kathleen McGinnis. She is responsible for the handmade lavender eye pillows, weighted blankets, and hot packs that I incorporate in my practice and am now offering for sale. For more information about the weighted blankets in particular, see my last blog post. Kathleen also created delightful infused coasters (in either lemon or spice scent) to pair with vintage teacups, inspired by her love of antiquing. I have business cards for Kathleen at my office, for anyone interested in contacting her regarding weighted blankets or other custom work. Finally, I have recently begun to carry products from Bramble, a local community herbal shop. I have had the pleasure of shopping at their space in Press Bay Alley in downtown Ithaca on multiple occasions. They keep a wonderful stock of bulk herbs, spices, and medicine-making supplies and I highly suggest you pay them a visit if you’re in the area. For my business, I wanted to keep the focus on women’s health products in easy, accessible formats. In particular, I feature products from Small Graces Herbal and Rootwork Herbal. Their wildcraft and home-grown ingredients help sustain our local ecological system and support a healthier earth, and I offer some of their teas, tinctures, and tonics that focus on the specific needs of women. As Easter approaches – and soon after, Mother’s Day – I wanted to offer a one-stop shop for my clients’ holiday preparations! In addition to selling gift cards and retail products, I will be providing free gift baskets and filler for those who want to make a custom Easter basket. I am also offering gift bags and tissue paper for an additional $3.00, if baskets aren’t convenient for you. You can choose what you want to fill your basket with… and there’s lots to choose from! From essential oils to chocolate to handmade slipper socks, there’s an option for many tastes and preferences. 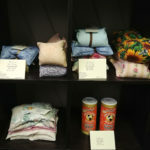 Finally, I wanted to say thank you to all of my clients who have made this retail space possible. Without your support, without you to ask for recommendations, without your feedback of which products work for you – I wouldn’t be doing any of this. I wish all of you a wonderful, bountiful, healthy spring!